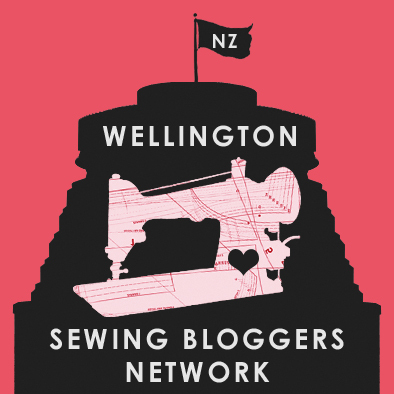 The Monthy Stitch – Sew Stretchy Ensis Tee’s! So I have been a follower of The Monthy Stitch for AGES now, BUT this is the first time I have actually participated in one of the monthly challenges! So May’s Challange was to sew knit fabric. I know technically it is June now BUT I did actually make these two tee’s at the start of May! It’s getting cold and well my causal winter wear was getting a bit thin! So using fabrics in my stash (Yeah stash busting!) 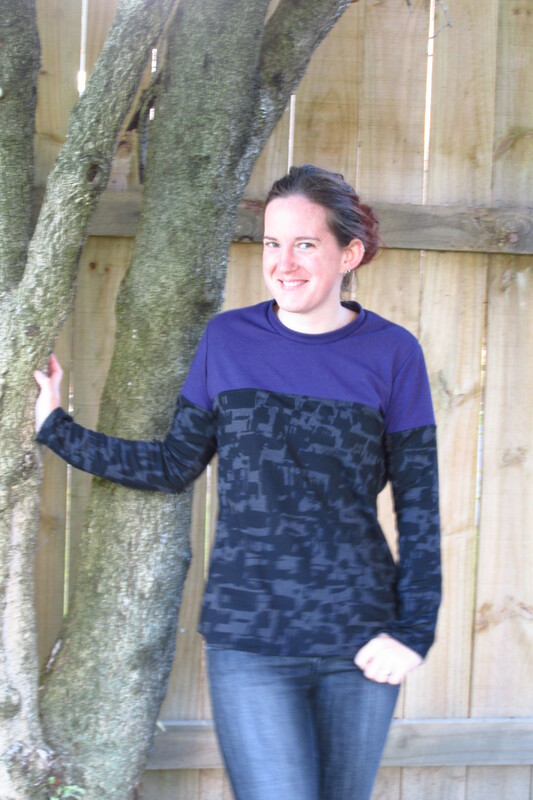 and my new Papercut Patterns Ensis Tee I got to work! First up I made this one out of thick cotton knits. 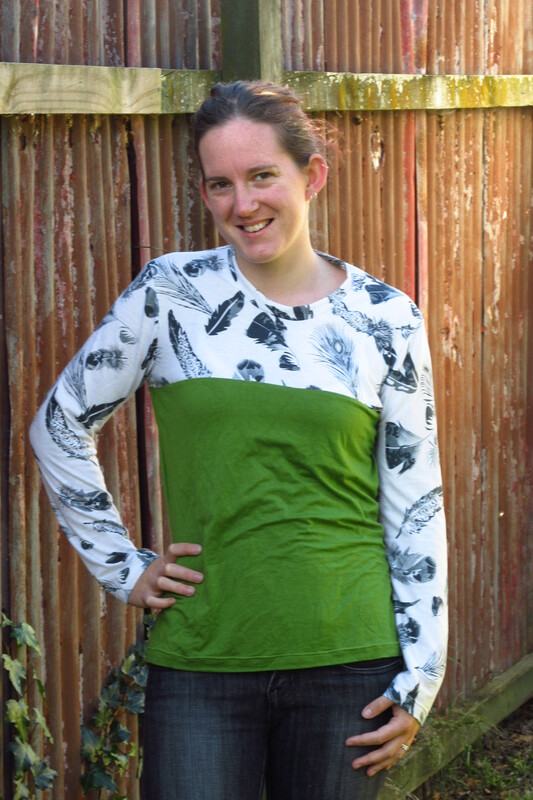 The pattern was sooooo easy to whip up the next day I made this one out of Green viscose and feather viscose off cuts from my Everything Batwing Dress! I have worn both these tops so much this month! Now to make me a few more! I like the colour blending/ blocking. I have a pattern and a couple of tops in mind too. Looks great!